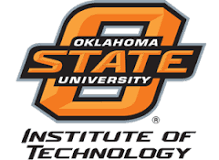 Founded in 1946, Oklahoma State University Institute of Technology is a recognized leader in applied technology education. It is known for its world-class teaching facilities and its partnerships with industry. The OSUIT-MAIP facility opened its doors in 2005. “Made in the USA” is making a comeback and as a result, manufacturing is booming. The growth in manufacturing at MidAmerica Industrial Park is creating jobs – not just jobs, but good jobs: in-demand jobs with good wages and good benefits. The OSUIT – MAIP campus is an advanced technical training center operated by OSUIT, which offers advanced technical and custom training programs, which are developed to meet the unique needs of working adults and of MAIP’s present and future employers. MAIP corporations to develop academic coursework and practical training environments using industry-caliber equipment - creating a seamless classroom to career transition.